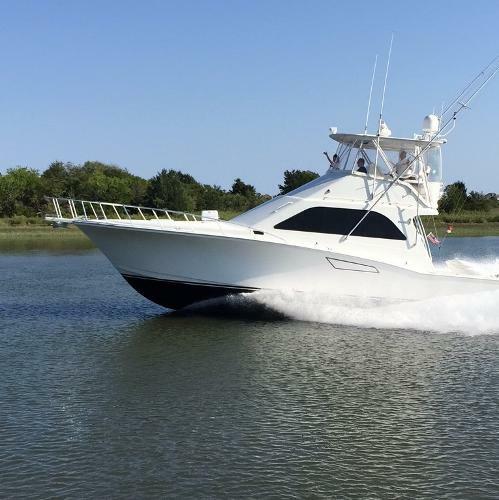 2002 Cabo Yachts 47 Flybridge Sportfish Convertible "Heavy Lift" is a very clean and well cared for 2002 Cabo 47 that is powered by twin MAN 800 HP Diesels with 1900 original hours. The engines have just undergone a complete 1000 hr service. The boat was completely awl-gripped in 2013 and all hardware was removed and rebedded at that time. Within the last several months the boat has been hauled, bottom painted, running gear with prop speed and dripless stuffing boxes installed. Windows where rebedded, new Isinglass on bridge, new window treatments in salon and new Led smart TV's throughout the boat. The Cabo 47 has one of the largest cockpits in this size range with great interior accommodations in a two stateroom, two head layout. 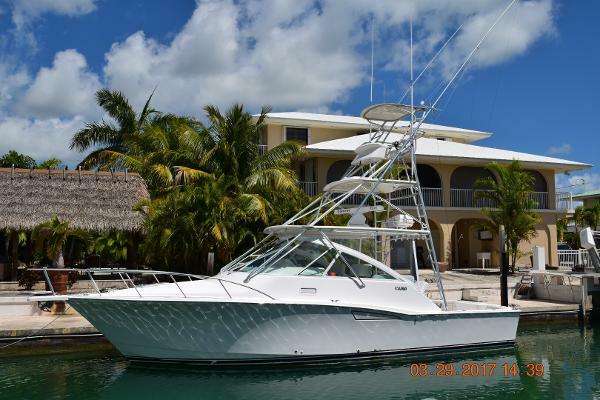 Call today for a showing of this very clean well equipped 47 Cabo. 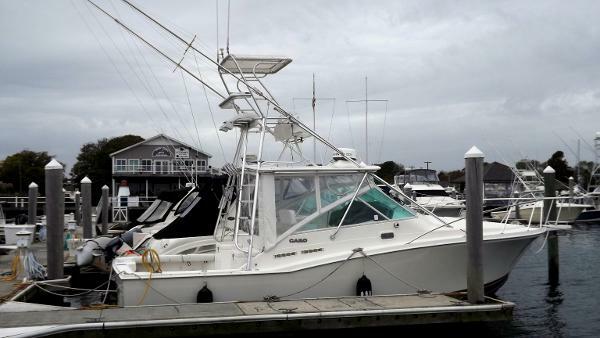 2002 Cabo Yachts 47 Flybridge Sportfisher ( Heavy Lift) is a very clean and well cared for 2002 Cabo 47 that is powered by twin Man 800 HP Diesels with 1900 original hours. The engines have just undergone a complete 1000 hr service. The boat was completely awl-gripped in 2013 and all hardware was removed and rebedded at that time. within the last several months the boat has been hauled bottom painted, running gear with prop speed, dripless stuffing boxes installed. Windows where rebedded, new Isinglass on bridge, new window treatments in salon, new Led smart TV's throughout the boat. The Cabo 47 has one of the largest cockpits in this size range with great interior accommodations in a two stateroom two head layout. 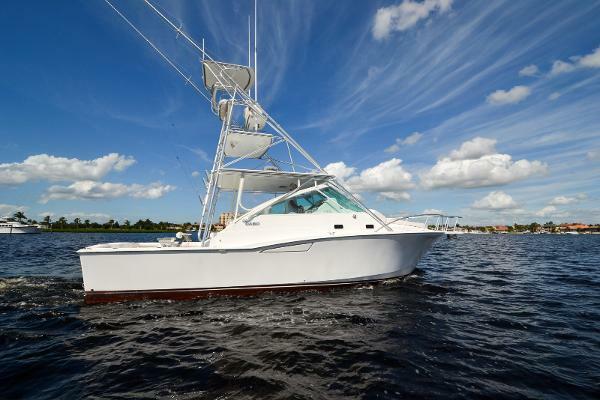 Call today for a showing of this very clean well equipped 47 Cabo. 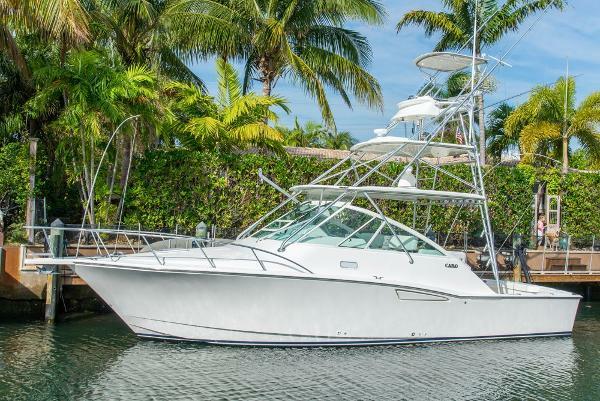 2006 Cabo Yachts Convertible Sunset Saloon is a one owner, well appointed 40' Cabo Flybridge. She is one of the last original Cabos built before being purchased by Brunswick. She features upgraded 800 MAN engines, Pipewelders molded hardtop with very low original time. Priced very aggressively and being sold as is. Call today to see the best deal on a 40' Cabo Flybridge available. 2000 Cabo Yachts 35 Flybridge Sportfisher CABO 35 Yachts Flybridge Sportfisher Mechanical Propulsion: Yes Manufacturer: Cabo Yachts Adelanto, CA Model: Sports fishing Flybridge Engine: Caterpillar 3208 with 1500 hours tt Has Dingy, Lift, and 4 stroke yamaha Comfortable Boat, Well maintained FINANCING AVAILABLE!!! 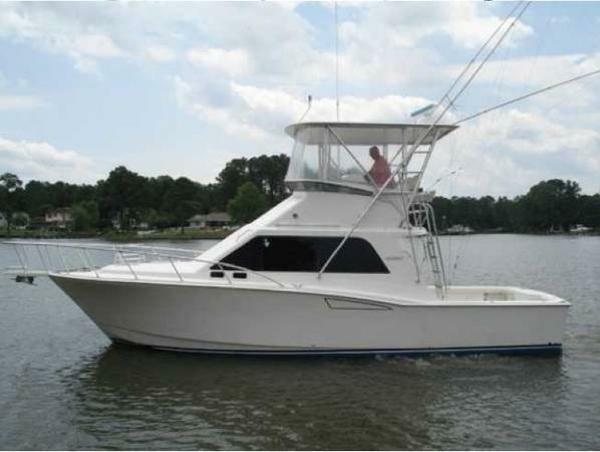 1997 Cabo Yachts 31 Express Very clean and well maintained Cabo 31 Express with tower. Cat diesels, White Awlgripped hull, new Garmin GPS/Chartplotter/Radar, Autopilot, Outriggers, much more... Fully equipped, needs nothing but a new owner. Take a look and you won't be disappointed! 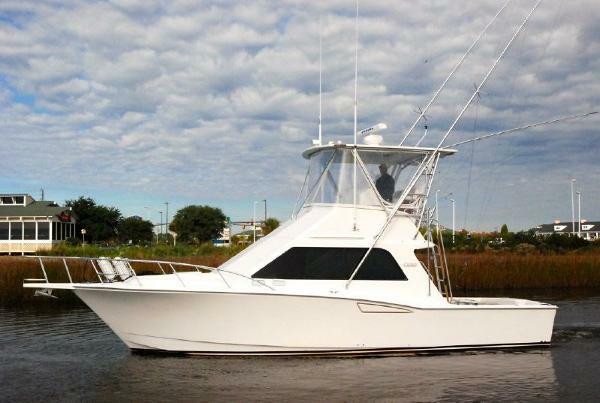 2000 Cabo Yachts 35 Express Superior construction, intelligent deck layout and meticulous finish have made this muscular express a modern sport fishing classic. Uncluttered cockpit includes bait-prep center, transom door, two large in-deck fish boxes and dual wash downs. Bridge deck lifts hydraulically for excellent engine access. Single-stateroom floor plan has seen several updates over the years. Hull bottom updated in 2000 with finer entry for softer ride and improved head sea performance. CAT435hp Diesels cruise in the high 20's. Contact broker for a list of up grades and service history. 2001 Cabo Yachts 35 Express Some boats claim to raise fish. 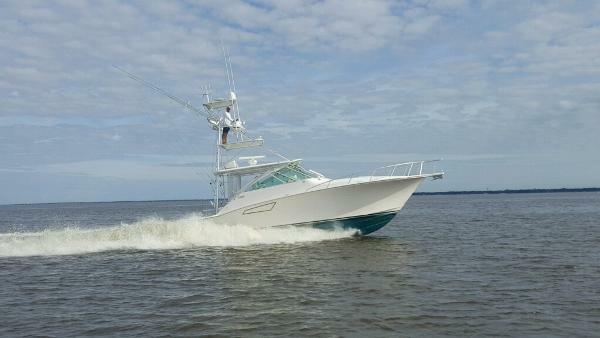 Others, like the CABO 35 Express, let their success speak for itself. A favorite of charter captains and seasoned anglers worldwide. She features a hull with small propeller pockets and clean underwater lines that create two ideal trolling alleys behind the transom, greatly increasing the number of strikes. It's one of the reasons other builders continue to study this benchmark model as they launch their own versions of our popular mid-sized sportfisher. This 35 Express is loaded with many upgrades & updates. The Caterpillar 3208 is a robust and highly sought after engine package for the vessel. Cruise of 28 MPH at 2500 RPM with 37 MPH at 2800 RPM. 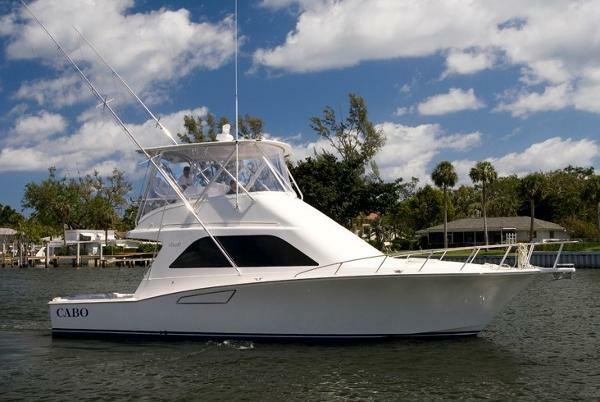 2005 Cabo Yachts 40 EXPRESS Excellent opportunity on a turn-key 40 Cabo! She is fresh out of the boatyard and has all the right features, including tower, helm AC, updated electronics, Cat C-Series power with low hours, Stidd helm chair, fighting chair, the works. 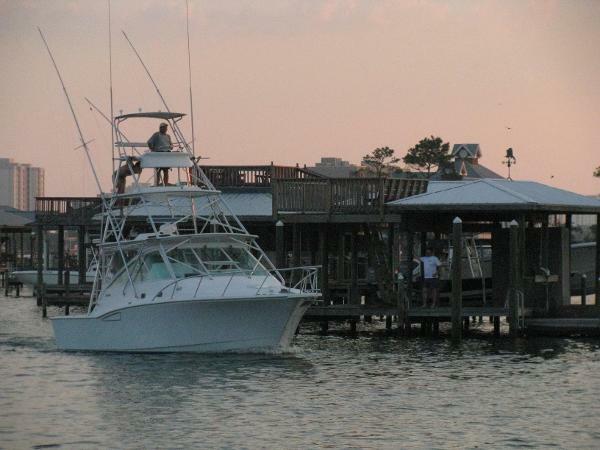 She is conveniently located in Orange Beach, AL. Put The Duke at the top of your list. 2004 Cabo Yachts 35 Express The Cabo 35 Express Fisherman has been one of the most popular boats in the Cabo Yachts line-up. This model boasts sleeping accommodations for four adults, a well equipped galley, and a spacious full sized head. Beyond the cabin the 35 Express also features a nice helm deck with plenty of seating and a large cockpit with every fishing amenity. "Jenny" is a superb example of the popular Cabo 35 Express. Rigged with a full tower and top of the line electronics package, this boat has every factory option an owner could ever want, including fresh rebuild Caterpillar engines with less than 100 hours. "Jenny" is definitely one of the best rigged and well maintained Cabo's on the east coast. 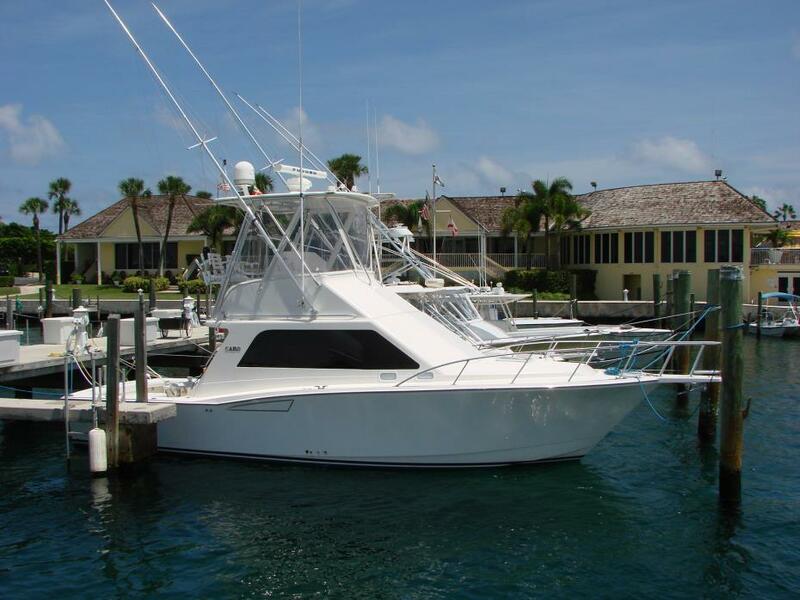 2005 CABO YACHTS INC 35 Flybridge 2005 CABO YACHTS INC 35 Flybridge One of the most popular flybridge sportfisherman ever produced the 35 Cabo provides everything you need in a small package. In particular "Weak Moment" is the best value in her vintage. SUPER SUPER CLEAN. Owner has spared no expense maintaining her since he purchased her new. Has all the right equipment including; Every possible option from the factory Pipewelders half tower Watermaker SAT TV Scopinich Rocket Launcher Great Electronics and Reliable power from CAT with the 3126B's with only 840 original hours. Must see and priced to sell. 2004 Cabo Yachts 40 EXPRESS Preliminary listing! More info coming in the next few days! 2001 Cabo Yachts Convertible With confidence I believe Ditch Digger is one of the cleanest, best conditioned 47-50Ft Sportfish Convertibles you will see in todays marketplace. 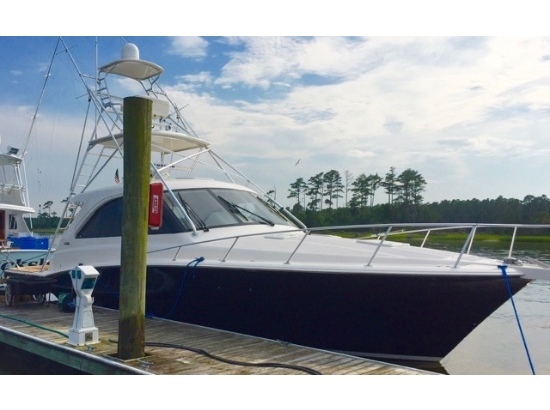 This Cabo Yacht, sold new to this Owner, is powered by twin MAN 2848 @ 800HP and 2,200hrs. and speeds of 30kts at cruise and 35kts WOT. 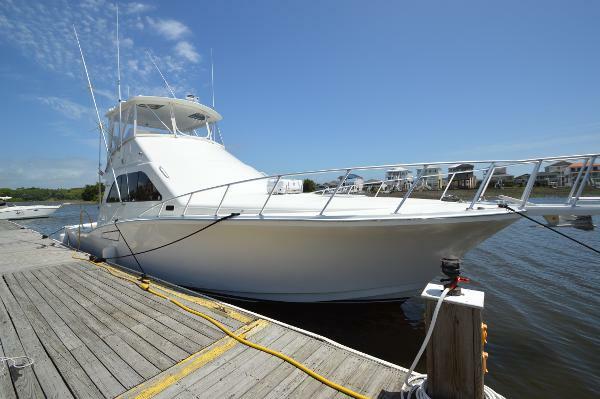 This 47 Cabo has been maintained and serviced by one mechanic and is well known for its solid Hull Bottom and strong hull sides and decks resulting in a powerfully sturdy Sportfisherman with a 50Ft LOA. Built for tournament fishing another advantage is the 7Ft Long insole fishboxes on either side of the cockpit with split hatches that easily open for smaller fish or allow entire hatch removal to store The Big Fish. The Hull Color is an attractive Ice Blue and looks even better in person. The helm itself is of the Palm-Beach variety, with centerline pod-style helm and twin ladder-backed pedestal chairs. The owner just purchased a Brand New custom Bluewater Fishing Chair. 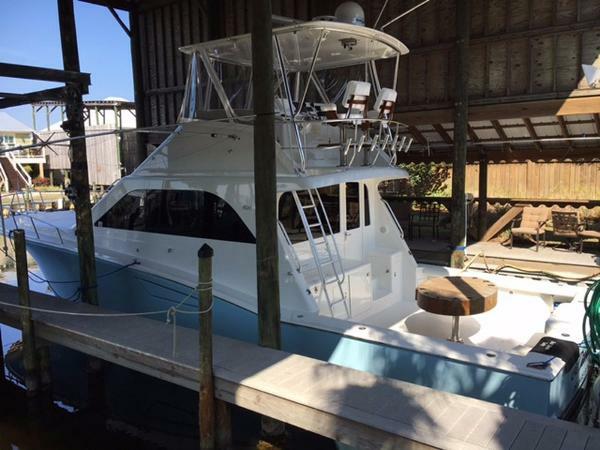 This 47 Cabo is kept always under cover in a private slip. Dont Miss out this amazing Sportfish Boat for the upcoming Season as supplies of quality pre-owned boats are dwindling in todays boating industry. This NEW LISTING Ditch Digger will not last long!